Six Royal Military Policemen were killed in an incident at Al Majar Al Kabir on Tuesday 24 June 2003. The Defence Secretary, Geoff Hoon MP, updated the House of Commons on Wednesday 2 July 2003 on the information available concerning this incident, and another in the same area which resulted in Service personnel sustaining wounds. The loss of six soldiers from such a small, tight-knit unit as 156 Provost Company clearly comes as a dreadful shock to us all, not only the friends and families of those killed, but also all those in the Royal Military Police who knew and worked with them. All these men were highly professional Soldiers and Policemen. Their deaths in action underlines the challenging and difficult operations that the RMP are asked to undertake both in peace and times of conflict. From the oldest, aged 41, to the youngest, aged 20, these soldiers had between them a wealth of operational experience and distinguished service. You will understand that the circumstances surrounding this dreadful incident are still being investigated. At this time, our priority is giving all the support we can to the families and friends who are having to cope with the loss of loved ones. We ask our men and women to risk the ultimate sacrifice in the service of their country, and it is the sad truth that sometimes that sacrifice comes to pass. All six soldiers were extremely popular and well liked within the unit and they will be sadly missed by all of us. A Board of Inquiry was convened following the deaths of the six Royal Military Policemen at Majarr al Kabir on 24 Jun 03. Sergeant Simon Alexander Hamilton-Jewell, 156 Provost Company, Royal Military Police. Aged 41, he came from Chessington in Surrey, and was single. Sergeant Hamilton-Jewell was known to his friends as ‘HJ’. The Platoon Sergeant of the Parachute Provost Platoon, he joined the Army in August 1988 and joined 156 Provost Company in March 2002. He had previously served as a soldier in the Territorial Army from 1979 to 1988. He had served in Germany and the UK, and on operations in Northern Ireland, Sarajevo and Sudan, as well as on exercise in Kenya, Poland and France. As well as being a trained military parachutist, Simon Hamilton-Jewell was a qualified HGV driving instructor, and practised martial arts. A nod, a wink or a smile; one hundred per cent human being, dedicated to life in full. He was a man keen to help anybody; a fearless man, biker, hiker and climber. But above all, a man dedicated to the Army, his Regiment, his unit and to his comrades. He gave twenty years of service defending others, in so many locations and was a selfless, ultra-fit man to the last. A son and brother beyond belief, ‘H-J’, ‘Hammy’ or Simon all meant the same - a top man, friend and soldier. A man’s man, and a soldier’s soldier. He was a very human person who will be dearly missed for the rest of our lives. For a soldier never afraid to do his duty - we love and miss you. God bless. In our own grief at the loss of Simon, we are also remembering his colleagues who died with him, and offer our sympathy and condolences to their families and friends. We are both very grateful for the dedicated and caring support that so many ranks and agencies of the Army have given to us and the rest of Simon’s direct family, without which managing would have been so much harder. Although we appreciate that the many people from the media who have come to our home mean only to tell Simon’s story, we would ask that, following what we have said here, we are now left to grieve in peace and in our own way. Sergeant Hamilton-Jewell’s funeral was held in Aldershot on 21 July. Aged 30, he came from Swadlincote, Derbyshire, and was married with one daughter. Russ Aston was the company physical training instructor and enjoyed an active social life within the unit. He joined the Army in 1993 and was posted to 156 Provost Company in March 2001 after service with the Grenadier Guards. Corporal Aston was military parachute trained, and had served in Macedonia and Northern Ireland and on operations in Kenya. Russ was a very handsome man who was loved by everyone who knew him. He was such a kind and special person with a smashing sense of humour, he could get on with anyone he met. He was a doting father who had lots and lots of friends. When he walked into a room he filled it with his height and presence. He loved his life in the Army. He was very fit and sporty. He recently ran 31 miles to raise funds for Gresley Rovers, a local junior football team, to provide them with kit. 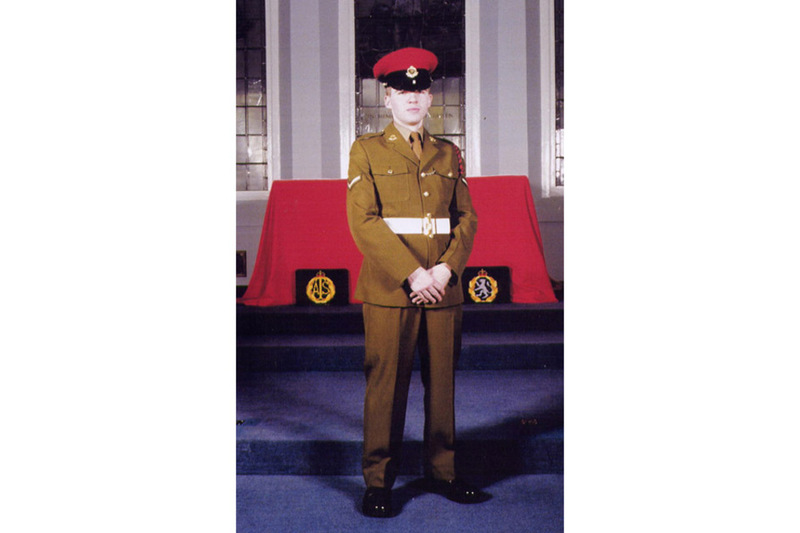 When he was in the Grenadier Guards, he was a physical training instructor and in fact when he passed his Army Training Course, he was commended as the Best Physical Training Cadet. He loved animals, was a caring person and although he looked tough, had a heart of gold and was loving and sensitive. Aged 24, he came from Colchester in Essex. Born in Portsmouth, Paul Long attended Blackmoor CofE Primary School and All Hallows RC Comprehensive in Aldershot, before moving to South Shields where he attended Hebburn College. He joined the Regular Army in April 1999, having served two years with the Territorial Army, and was posted to 156 Provost Company in March 2000. A member of the Parachute Provost Platoon, he was a qualified radio operator. This was his first operational deployment. Paul was a dedicated soldier who loved his work. 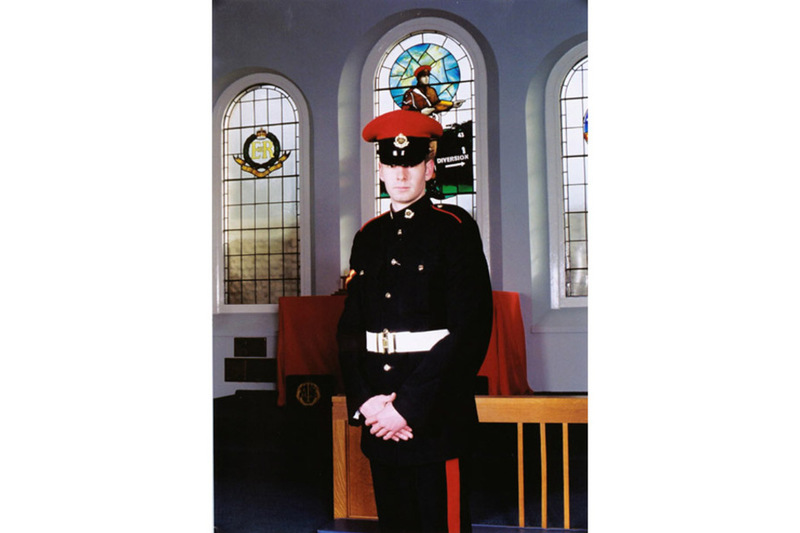 Our brother, Paul Graham Long, known affectionately by all his family, friends and Army colleagues as Paul, joined the Royal Military Police in 1999. He wanted only to help others less fortunate than himself. Paul leaves behind a loving wife Gemma and a baby son of 11 months, Benjamin David, and our devoted mother Patricia. We would really appreciate it if there were no further visits from the press and other media, so that we can be left to mourn Paul in peace. Paul, who was loved dearly and will be sadly missed, died doing what he did best: helping others. Our hearts and prayers go out to the families and friends of all the Royal Military Police killed in Iraq. The media are asked to respect the family’s privacy at this very difficult time. Aged 21, he came from Washington in Tyne and Wear, and was engaged to be married. Simon had a real zest for life and was a keen sportsman. He gained his black belt in Karate when he was only twelve years old and then decided to concentrate on getting to the top in football. He represented both junior and senior school at football and in the last two years he captained the team. He was picked to represent the Durham and Chester-le-Street district team selected from all the schools in the area. He also played for several local teams including Washington Boys. At 12 years old, he attended Sunderland AFC School of Excellence. Later, he had trials for Cambridge United and he went to the teams ground regularly for training before deciding to join the Army and become a Red Cap. But he continued to play football for his unit, 156 Pro Company, and for the Royal Military Police team. He loved the Army and was one hundred per cent a policeman in every sense of the word, committed to his job. He had great courage and was not afraid to stand his ground. He has an older brother, Jon, and through Simon’s encouragement, Jon has just this week completed his NCOs’ course at the RMP Training School in Chichester. Simon was promoted to Corporal just before he left for Iraq and we were all really proud of him. He also loved motorbikes and rode an Army motorbike out in Iraq as well as having his own back in the UK. He was due to finish his tour in July and planned to marry when he returned home. He was our life - he was a lovely lad and very close to his family and fiancee. Words can’t describe how much we all love him and miss him. Lance Corporal Benjamin John McGowan Hyde, 156 Provost Company, Royal Military Police. Aged 23, he came from Northallerton in Yorkshire and was single. Ben was an extremely charismatic person who lightened the mood whenever he walked into a room. All he ever wanted was to become a military policeman, and he worked very hard to become one. He was very career-minded, with bags of potential, and had been recommended for promotion early. The red beret was all he ever wanted. It was his life, so he gave his life doing the job he loved most. He was also a loving son who will be sorely missed. Aged 20, he came from Llanuwchllyn, near Bala in Wales, and was single. 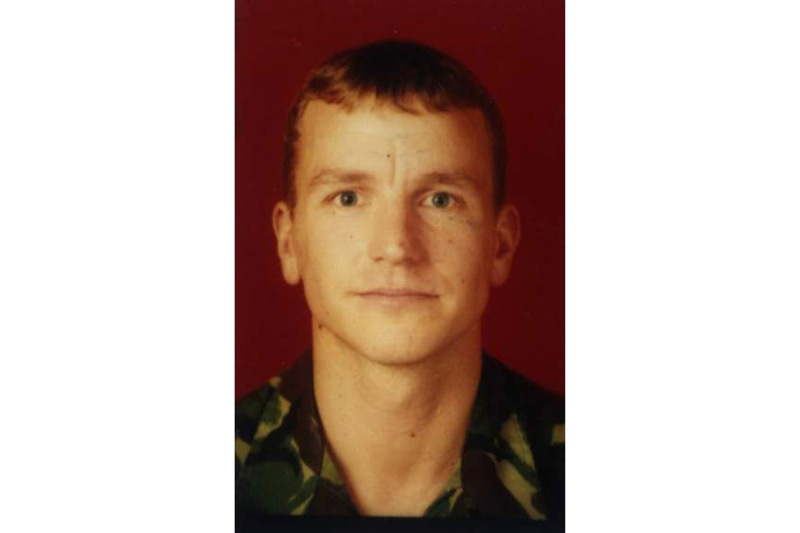 He joined the Army in August 1998, initially serving with 1st Battalion, The Parachute Regiment. 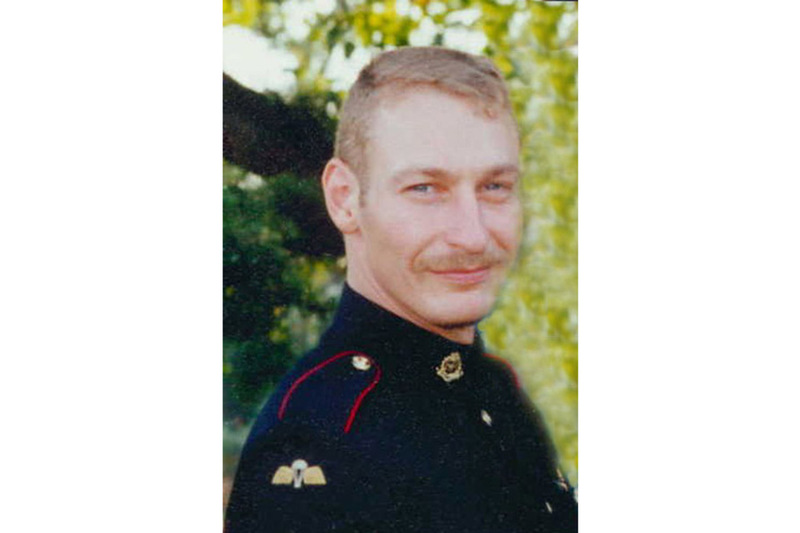 He transferred to the RMP and joined 156 Provost Company in January 2002. He had served on operations in Sierra Leone and Northern Ireland and deployed to Jamaica on exercise. A popular soldier, Thomas was a fully trained paratrooper and physical training instructor who played football for the Company. His funeral service, with full military honours, was held at St John’s Church in Barmouth on 14 July.